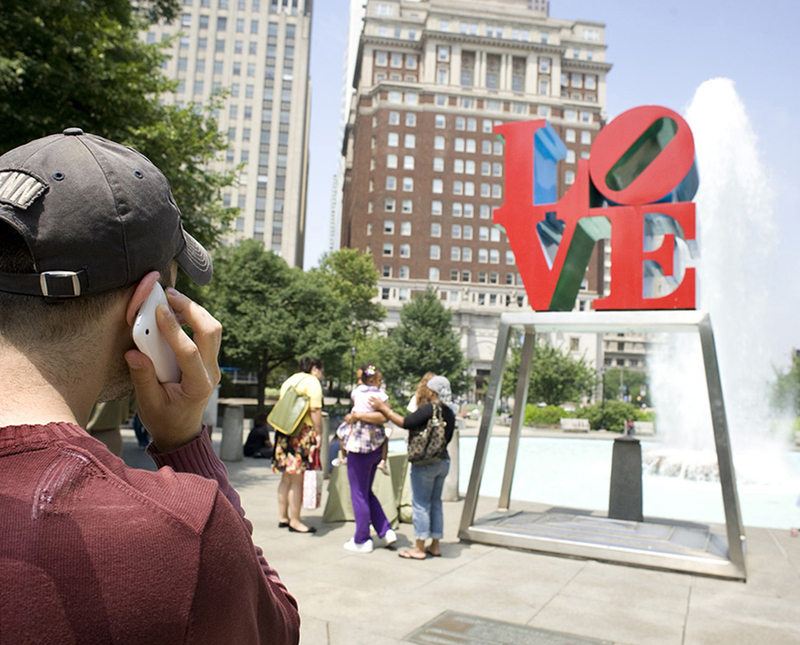 Throughout the 19th century, Philadelphia’s German singing societies would participate in singing competitions. In 1891, the United German Singers of Philadelphia won the 16th Annual National Saengerfest held in Newark, New Jersey. The grand prize was the bust of Austrian composer Franz Schubert (1797-1828), which the singing society gave to the City of Philadelphia. 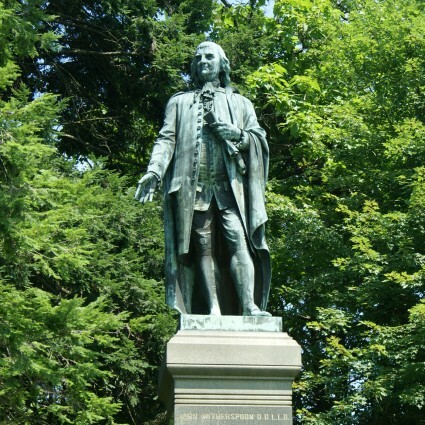 The sculpture was installed in West Fairmount Park. 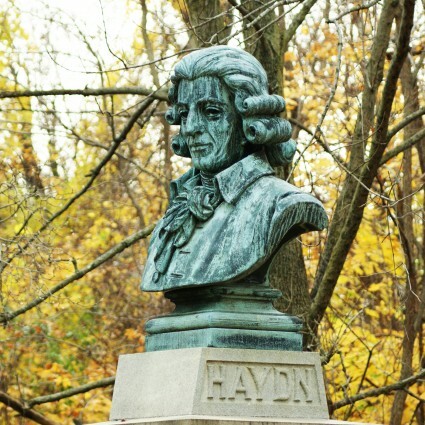 In 1906, the group gifted the bust of Joseph Haydn to the City, which was installed nearby. Schubert was known as a writer of songs. 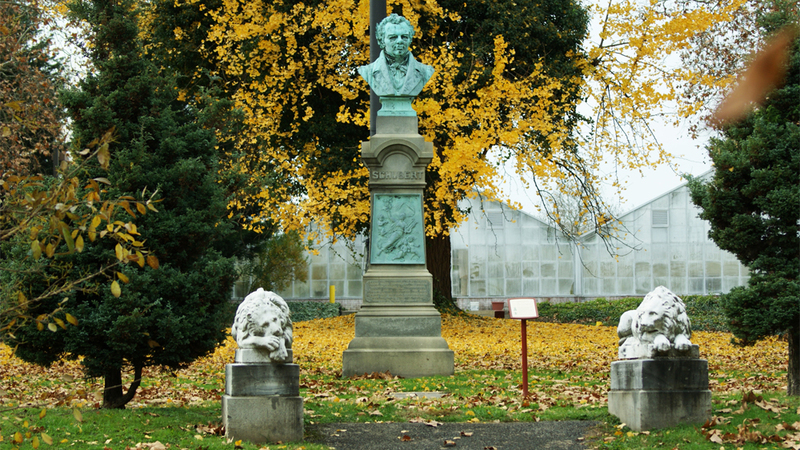 Among Schubert’s famous compositions are “Ave Maria.” The Pair of Lions installed next to the bust were given to Fairmount Park by Henry Lisle Waln in 1891. 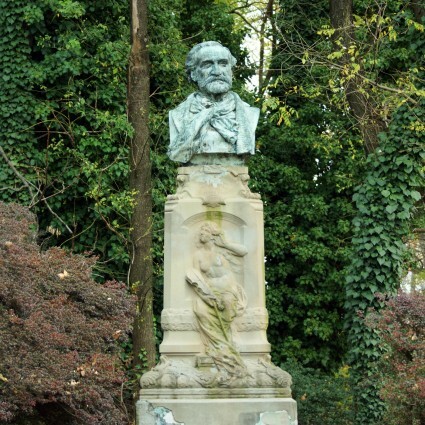 Henry Baerer was in born in Kirchhain, Kurhessen, Germany in 1837. 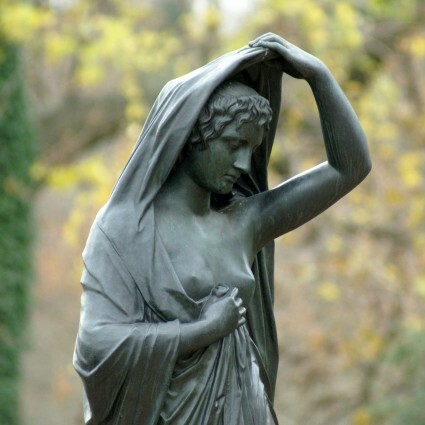 He came to the United States in 1854 but later returned to Germany to study at the Royal Academy in Munich. He died in the Bronx, NY in 1908.